Supports Whole and Small Group Instruction, Guided Reading, Balanced Literacy and Independent Reading. 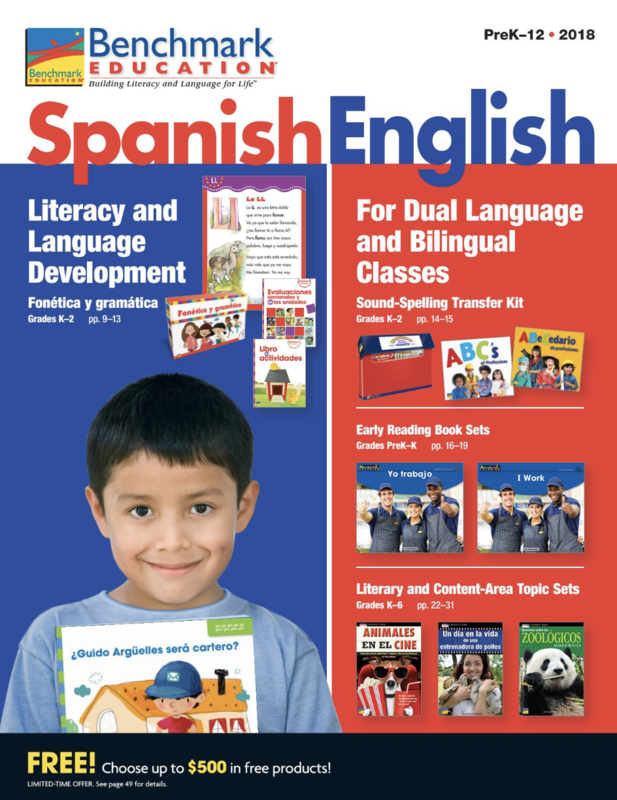 Products listed below are just a sampling of what Benchmark Education Company has to offer for Spanish learners. Develop close reading, cross-text analysis, and text-dependent comprehension skills for K-2. 2500+ texts available in PRINT and DIGITAL format. Differentiate small-group instruction with precisely leveled texts for K-8 while developing text-dependent comprehension. Engage K-1 students in learning to read and write key text types and genres. Improve nonfiction leveled texts for grades 3-8 in Spanish while teaching content-area topics. Genre texts in Spanish help 3-8 students meet the new Language Arts standards. Teach comprehension strategies in Spanish with whole group modeling and application in small groups with leveled texts. *All the above resources are available in digital format. Ready Rosie is Parent Engagement for ESL and Spanish! Support early literacy and connect with your parents in Spanish and English. Ready Rosie is a daily Professional Development video for parents, caregivers and teachers. Videos in both English and Spanish makes Ready Rosie an excellent resource for Spanish speaking families and students. Watch a sample video now!